Following the campaign by PledgeMusic and Pulse Films on the recent Libertines documentary ‘There Are No Innocent Bystanders,’ the two companies have teamed up again to promote ‘Shut Up and Play the Hits,’ a new documentary and concert film from LCD Soundsystem, one of the most celebrated and influential bands of its generation. Shut Up and Play the Hits’ premiered at Sundance in January of this year. 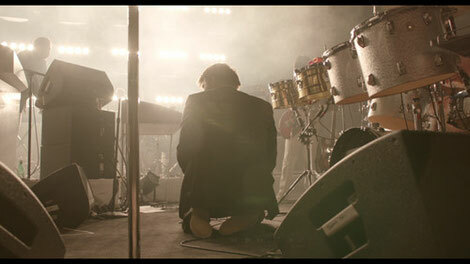 ‘Shut Up and Play the Hits’ documents LCD Soundsystem’s final show at Madison Square Gardens on April 2nd 2011. The film is also an intimate portrait of the band’s founder and front-man James Murphy; you see him navigating the lead-up to the show and confronting the reality of his decision to end the band at its peak. Directed by Will Lovelace and Dylan Southern, who made the Grammy nominated Blur film ‘No Distance Left to Run,’ ‘Shut Up and Play the Hits’ has already had a very successful run in US cinemas. In the UK, it will be shown for one day only in cinemas on September 4th. From Monday 20th August, fans of LCD Soundsystem can pre-order the DVD or Blu-Ray of ‘Shut and Play the Hits’ through PledgeMusic and will receive access to a wide range of premium offers from www.pledgemusic.com/lcdsoundsystem. The DVD and Blu-Ray releases of the film will feature a three-disc package including a 90-minute documentary and near four-hours of concert footage, photo stills, outtakes and art cards. Other premium offers available to fans via Pledgemusic will include limited edition, signed film posters, one-off t-shirts and a coffee-table photobook featuring an in-depth retrospective of LCD Soundsystem photos covering the entire history of the band. Check out one of our favourite tracks below.